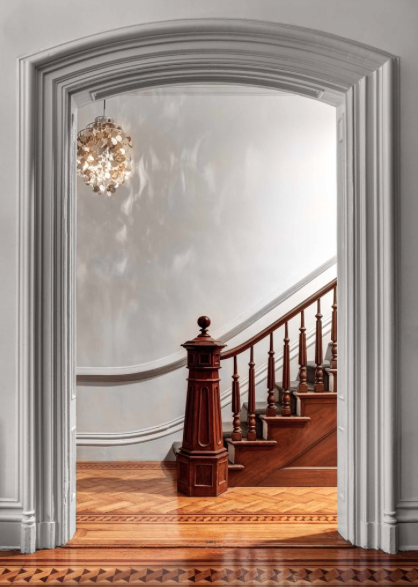 This brownstone featured in The New York Times is one of many in the area consistently used for photo shoots, commercials and ads....and you can see why! What a beauty! The high ceilings, moldings and incredible floors are just a few of the original details that make this space so desirable. The modern kitchen set against the high windows and the ceiling with that superb medallion....I will be looking out for this beauty in my design magazines! !